Noggin Plays Nicely with Others. Integrate your SAP Human Resources solution with Noggin OCA to synchronize employee data and ensure that you always have the latest contact details for your people. Integrate your PeopleSoft solution with Noggin OCA to synchronize employee data and ensure that you always have the latest contact details for your people. Integrate your WorkDay Human Resource Management solution with Noggin OCA to synchronize employee data and ensure that you always have the latest contact details for your people. Integrate your Orion Software Asset Management solution with Noggin OCA to synchronize asset and inventory data and ensure that you always have the latest details. 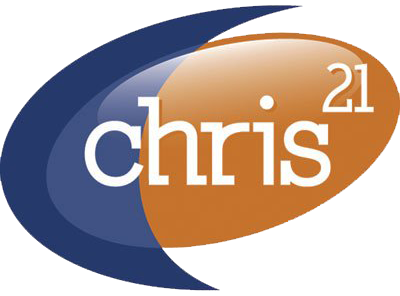 Integrate the CHRIS 21 system with Noggin OCA to synchronize employee data and ensure that you always have the latest contact details for your people. Integrate your Windows Server Active Directory (AD) to provide user single sign-on capabilities in Noggin OCA using your corporate directory service. Integrate your Windows Azure Active Directory (AD) to provide user single sign-on capabilities in Noggin OCA using your corporate directory service. Integrate your Okta solution to provide user single sign-on capabilities in Noggin OCA. Use SAML 2.0 to provide user single sign-on capabilities in Noggin OCA. Integrate your Oracle asset management solution with Noggin OCA to synchronize asset and inventory data and ensure that you always have the latest details. Integrate your Yardi property management solution with Noggin OCA to synchronize asset and inventory data and ensure that you always have the latest details. Integrate your SAP Enterprise Asset Management (EAM) solution with Noggin OCA to synchronize asset and inventory data and ensure that you always have the latest details. Integrate your Aurion solution with Noggin OCA to synchronize employee data and ensure that you always have the latest contact details for your people. Integrate your AWS Direct Connect solution to establish private connectivity between Noggin OCA and your systems and data. Integrate your TIBCO Cloud Integration solution to establish private connectivity between Noggin OCA and your systems and data. Export data from Noggin OCA directly to your Power BI suite for analysis and reporting. Export data from Noggin OCA directly to your Tableau platform for analysis and reporting. 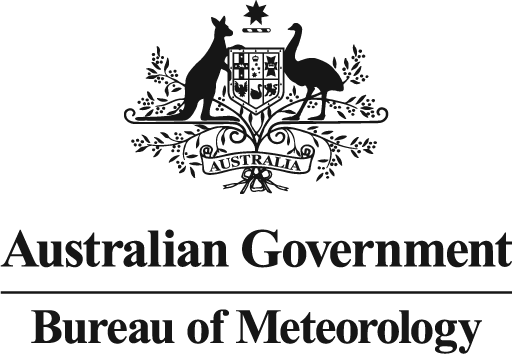 Add the BOM data feed to Noggin OCA to receive real-time weather alerts and warnings for Australia. Add the Weatherzone Custom Weather Feed to Noggin OCA to receive real-time weather alerts and warnings for Australia. Add the NOAA data feed to Noggin OCA to receive real-time weather alerts and warnings for North America. Add the UK Met Office data feed to Noggin OCA to receive real-time weather alerts and warnings for the United Kingdom. Add the WindyTV data feed to Noggin OCA to receive real-time weather broadcasts for any supported global location. Integrate your ArcGIS solution with Noggin OCA to use as your own base maps, display map features and services from ArcGIS, produce high fidelity maps with ArcGIS print services, use ArcGIS symbology on your Noggin OCA data, and import and export ESRI shape files from ArcGIS. Integrate Google Maps into Noggin OCA to use as your own base maps and take advantage of the Street View imagery and other views. Integrate your Mapbox solution with Noggin OCA to add real-time geo-references to your Noggin OCA data. Integrate your ServiceNow solution with Noggin OCA to view, notify and manage incidents outside of your IT operations area directly from Noggin OCA. Integrate your Micro Focus Content Manager solution with Noggin OCA to automate secure content and records management and data archiving directly to Content Manager. Use IBM MQ to integrate your systems with Noggin OCA and bring key operational data and metrics into your situational awareness. Use ARENA to monitor aircraft availability for fire and emergency response in Noggin OCA, using data from the national system. Integrate your WebEOC solution with Noggin OCA to share emergency data between various emergency response agencies directly from Noggin OCA. Integrate your Guardian solution with Noggin OCA to share emergency data between various emergency response agencies directly from Noggin OCA. Add RSS, ATOM and GeoJSON data feeds to Noggin OCA to bring real-time news and other information into your situational awareness. Integrate your WorkSafeOnline solution with Noggin OCA to associate workplace health and safety incidents with events managed in Noggin OCA. Integrate your Twilio communications platform with Noggin OCA to send voice and SMS messages. Integrate your West communications platform with Noggin OCA to conduct teleconferences using Noggin OCA. Use SMPP and SMTP to send and receive SMS and email messages in Noggin OCA. Integrate your Everbridge crisis communications platform to broadcast messages directly from Noggin through Everbridge. Integrate your xMatters crisis communications platform to broadcast messages directly from Noggin through xMatters.